Big on looks, small on sacrifices. 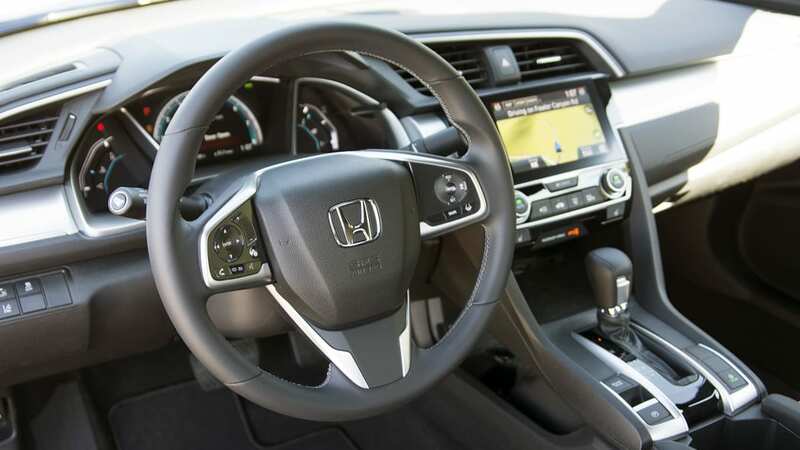 Autoblog rating for the Honda Civic is not available. Please check back later. 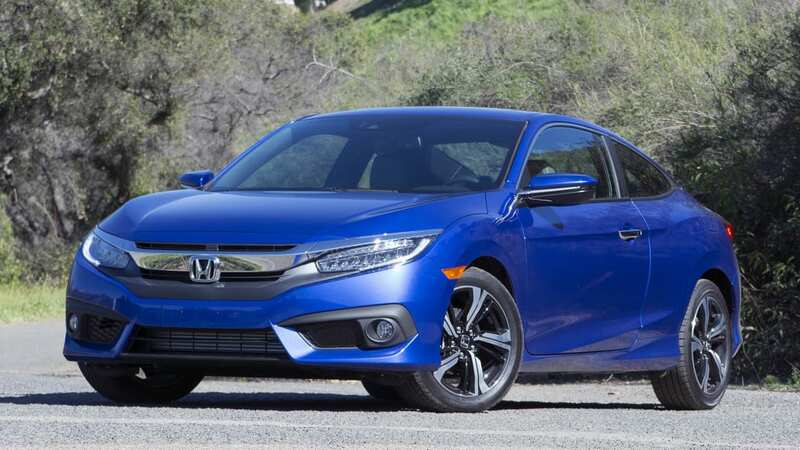 Let's not beat around the bush – mechanically, this Honda Civic Coupe is the same as the new-for-2016 sedan, minus a couple of doors. For a lot of consumers, that lack of utility is a big problem, and it's why compact sedan-based coupes are a dying breed. 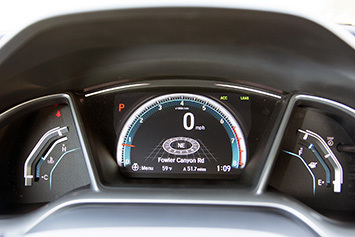 Why spend the same amount of money on a car that drives identically but is less practical? 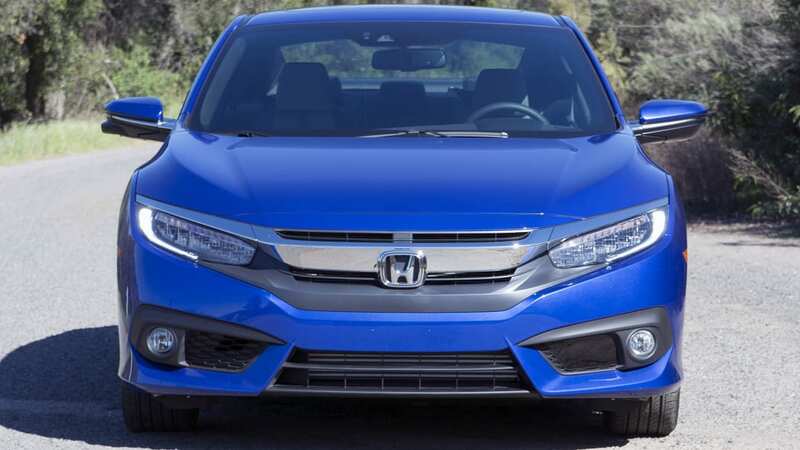 But in the case of the Civic Coupe, we offer this: When a car looks this good, screw logic. 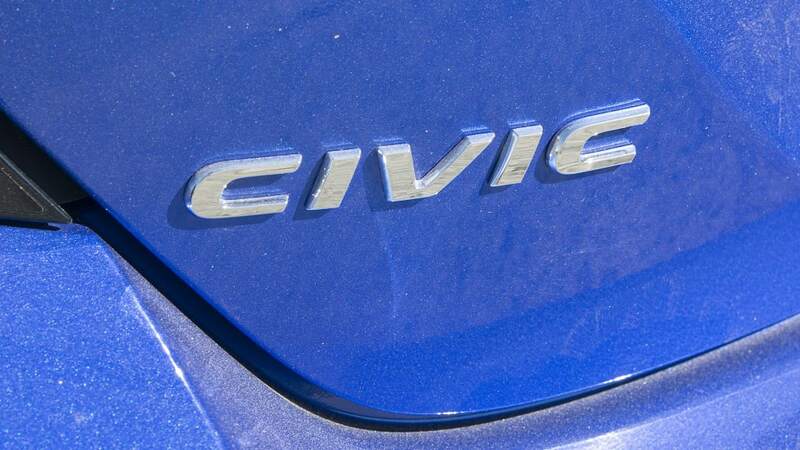 The new Civic is one of the most competent vehicles to wear the H-badge in at least a decade. And this new two-door does nearly everything the four-door can do while looking like an absolute stunner. From the A-pillar forward, this is the same reserved but handsome Civic that broke cover in 2015. 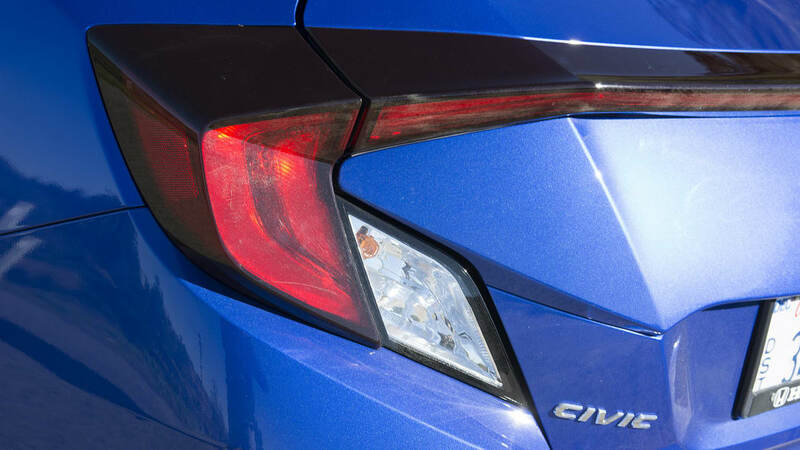 The new Civic is one of the most competent vehicles to wear the H-badge in at least a decade. Like a mullet (stay with us...), the Civic only gets more interesting as we proceed toward the back. 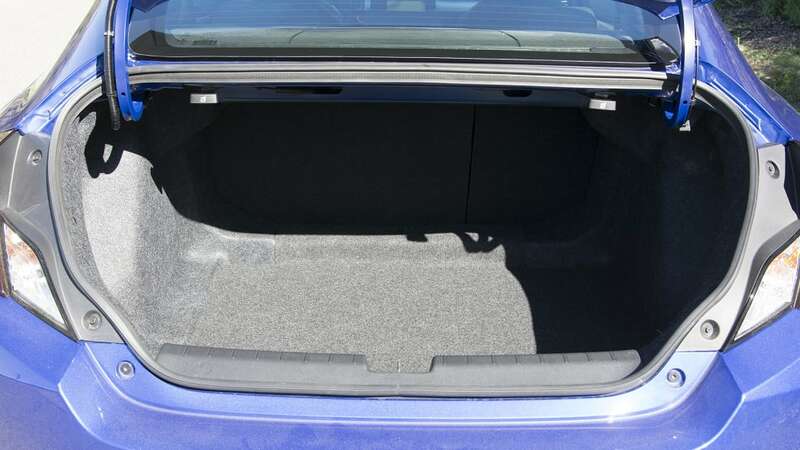 The rear window sits 0.8 inches lower than on the Sedan, but that's only part of what makes the two-door more dramatic. 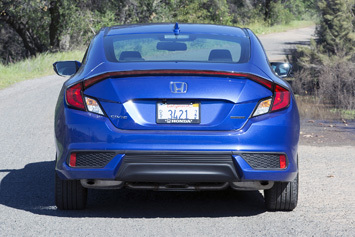 The Coupe is 5.4 inches shorter than the sedan, but all of that is behind the rear axle – the wheelbase is identical. So while the rear window and roofline aren't dramatically lower than the sedan, you just run out of car far more suddenly. The downside, of course, is that you lose three cubic feet of cargo volume, but we think that's a fair price to pay for something that looks this good. 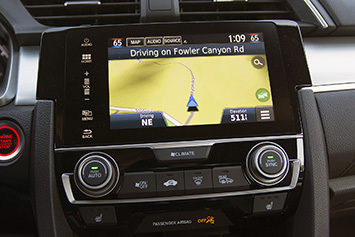 Climb inside and feast your eyes on the cabin, which – you guessed it – is essentially exactly the same as what you find in the sedan. 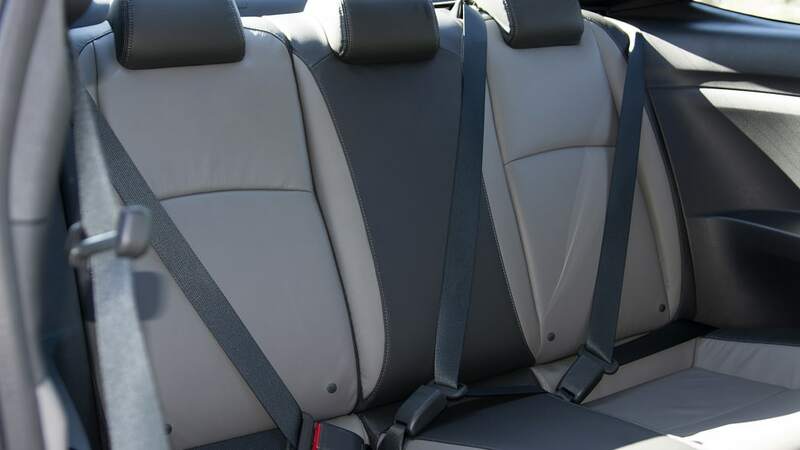 The seats get a standard two-tone color scheme and the door panels are ever so slightly different, but that's about it. 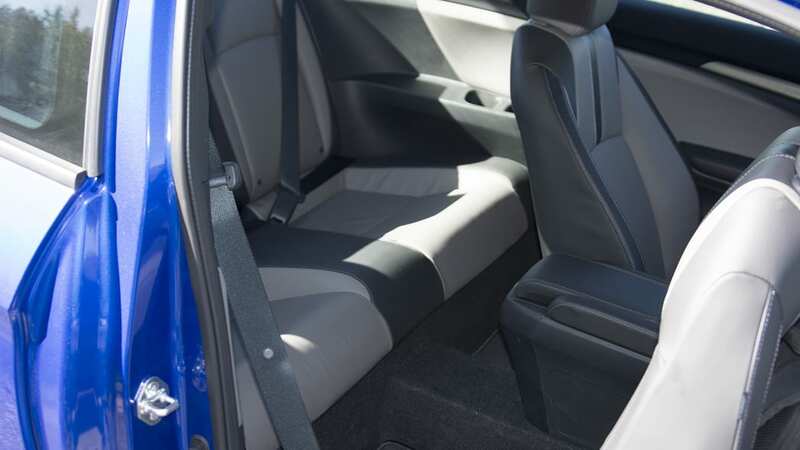 The big change, of course, is in the backseat, which in this case should really just be reserved for passengers under five feet, five inches. In the video below, you can see your author go from front to back in a Civic Sedan, and then attempt the same feat in the Coupe. It's not pretty. 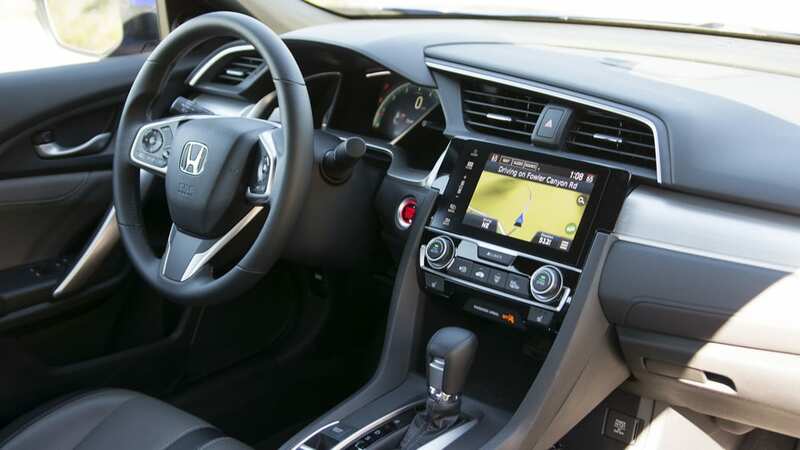 It's the way the Civic blends ride comfort with agility that's most impressive. 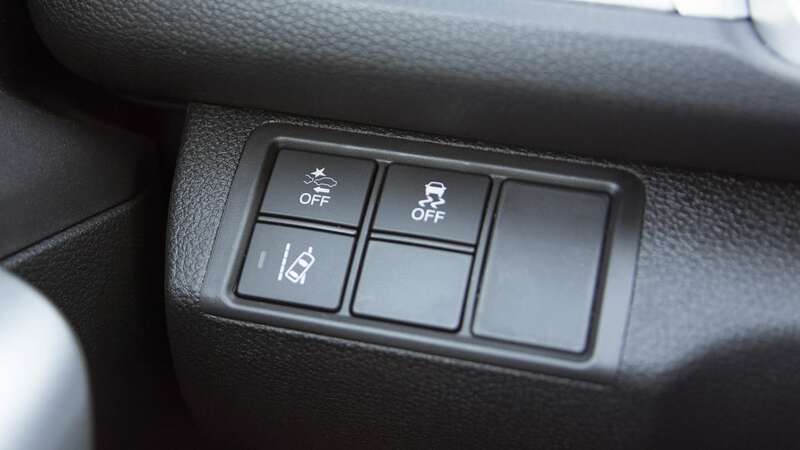 Mechanical changes from the sedan focus on ride and handling. 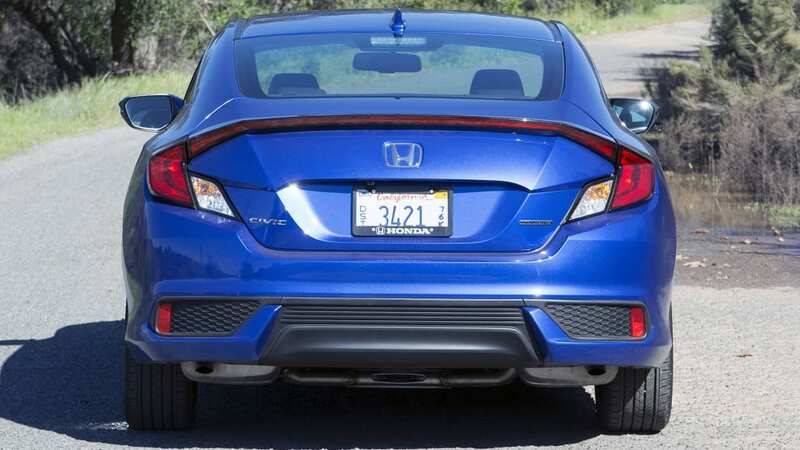 Honda says the coupe's dampers are firmer, but we had trouble picking up any changes. 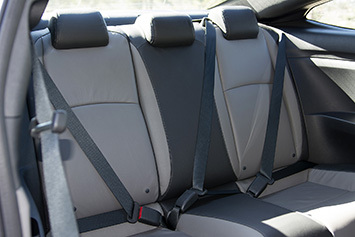 From our seat time, the coupe offers the same blend of refined ride comfort and small-car agility that has led to such critical acclaim for the sedan. During our test outside of San Diego, CA, we couldn't detect much about the road texture through the isolated chassis, but the coupe felt like it'd happily go wherever we pointed it without drama. 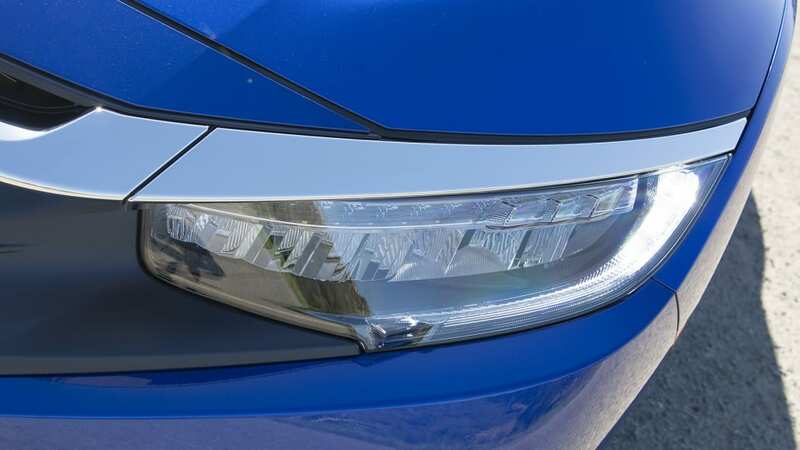 It's this pointiness, particularly on turn in, that gives the Honda its sense of agility. 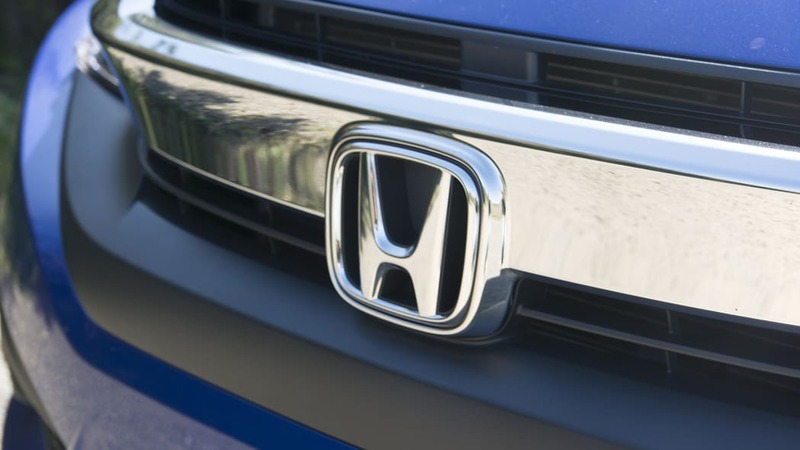 There's little doubt that this is sharpest car in the increasingly small compact coupe segment, but it's the way Honda blends ride comfort with agility that's most impressive. 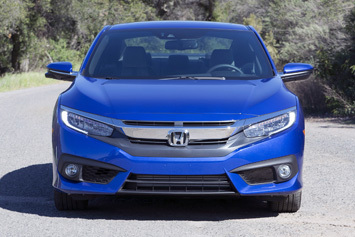 According to the engineers, the Civic Coupe was benchmarked against the Audi A3. And while we'd normally roll our eyes at this claim, there's honestly a genuinely premium feel to the way the Civic goes over bumps. Not only is it poised and stable – you're not going to get shunted off course by a mid-corner imperfection or break your back on a tire-eating pothole – but there's a real sense of solidity. Big suspension impacts aren't going to set off a chorus of creaking and shuddering in the cabin, which might mark the biggest departure between today's Civic and its predecessor. 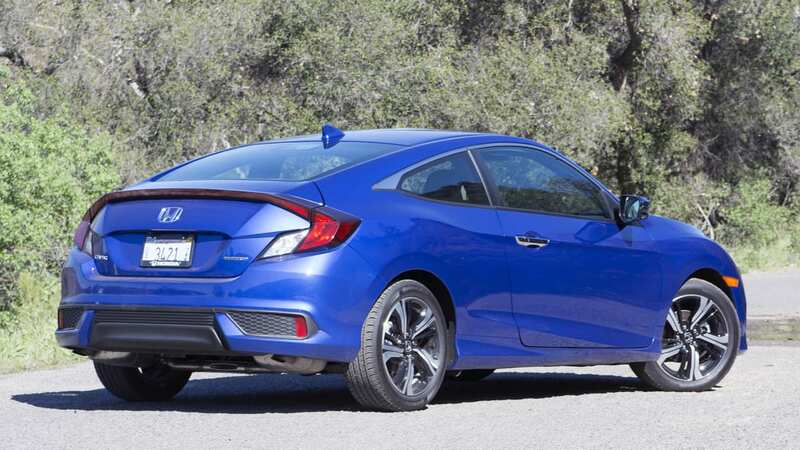 This engine is like the Eli Manning of the Civic lineup – very, very good, but there's virtually no chance it'll ever outshine its big brother. 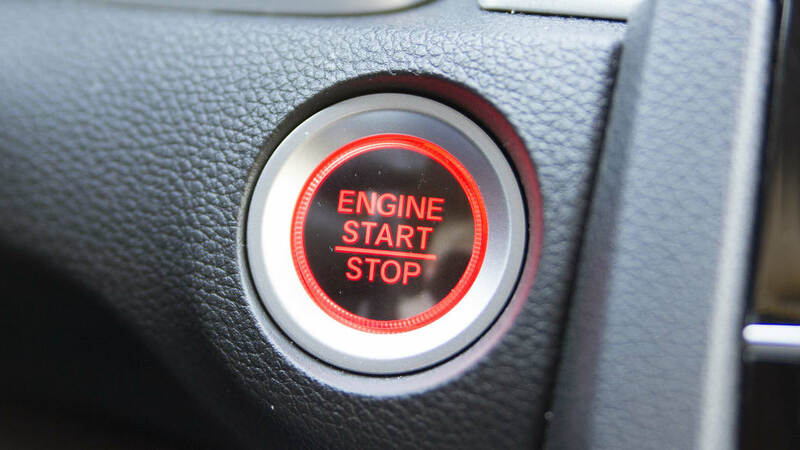 Our first test of the sedan focused on the 1.5-liter turbocharged four-cylinder model with the continuously variable transmission, so we opted for the naturally aspirated 2.0-liter four with the honest-to-goodness six-speed manual this time around. (Ignore the CVT-equipped model up in the accompanying photos – we didn't have time to shoot the manual car). 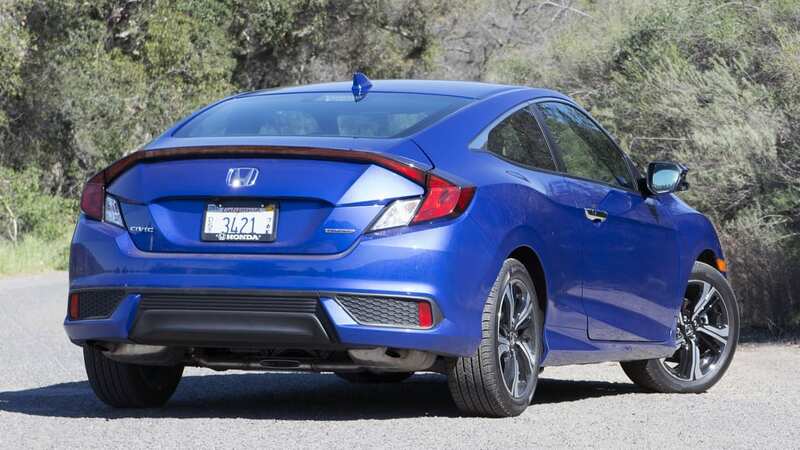 This engine is like the Eli Manning of the Civic lineup – very, very good, but there's virtually no chance it'll ever outshine its big brother. 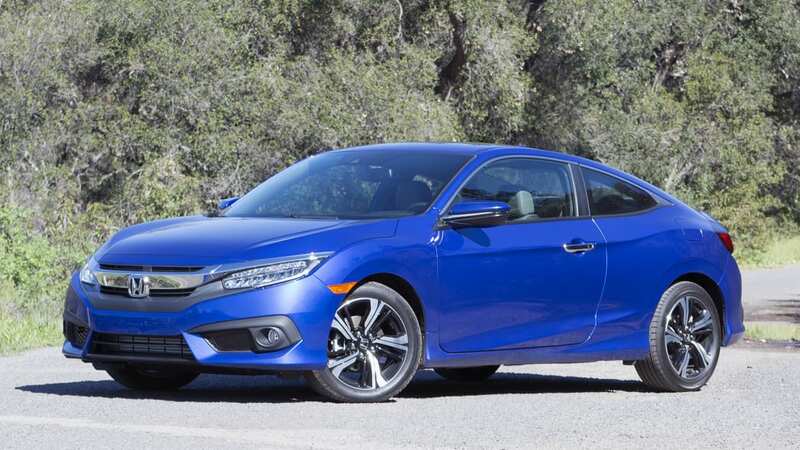 With 158 horsepower and 138 pound-feet of torque, the 2.0-liter engine receives a healthy bump in output over the outgoing Civic Coupe's 143-hp, 129-lb-ft, 1.8-liter engine. 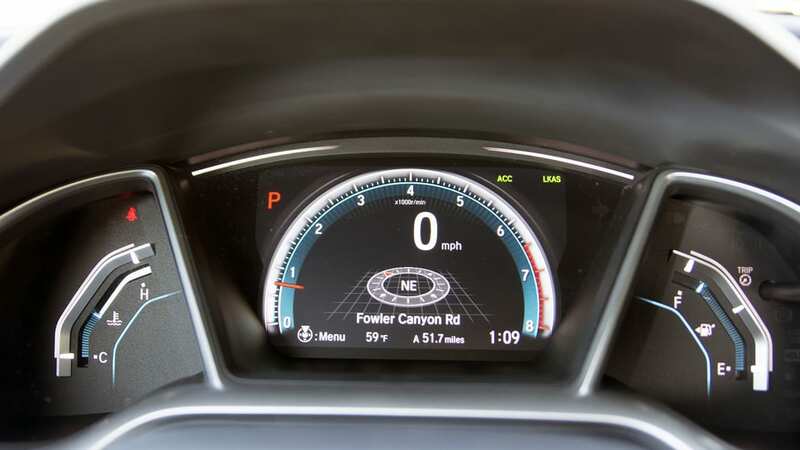 Extra power is great, but the best thing about this new engine is how smooth and linear it is. The 2.0 feels very nearly as good as the 1.5 – although without the lovable low-end kick of the turbo – revving quickly and without a buzzy high-end note. 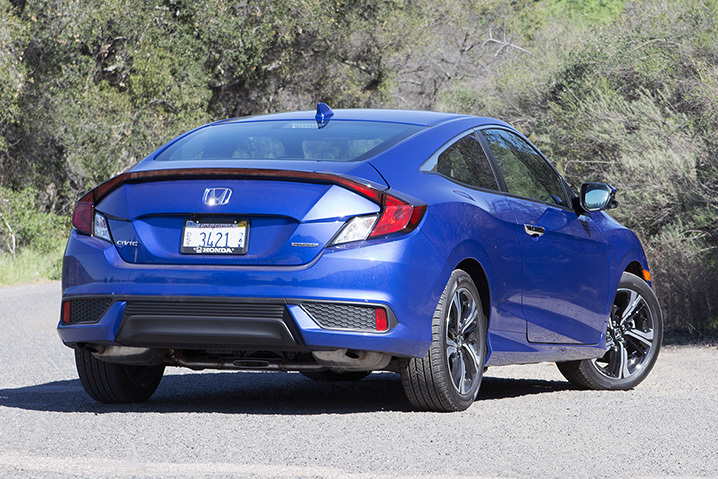 The Civic Coupe blends an outstanding driving character with one of the most attractive small-car shapes on the road today. 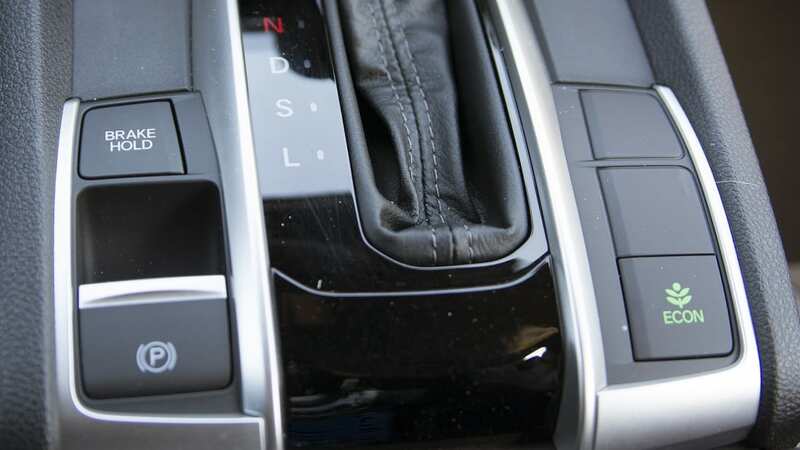 The six-speed manual is a perfect mate for this engine. 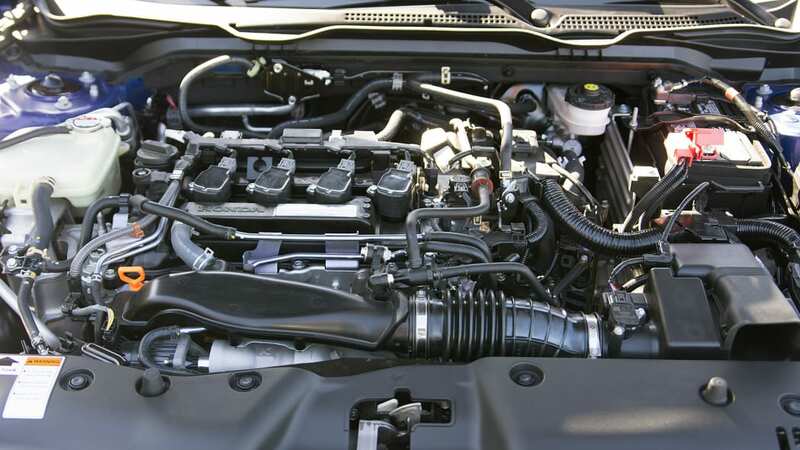 This gearbox is classic Honda, with a smooth, pliable action and soft gates that make for quick, effortless shifts. 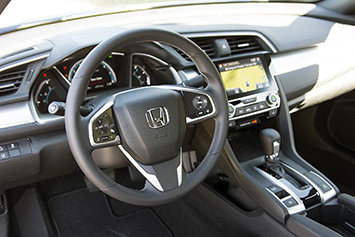 And unlike the larger Accord, Honda actually fitted the Civic a properly sized shift knob that's a delight to fling about. Pricing won't be announced for another couple of weeks, but the company's reps told Autoblog that any increases over the 2015 two-door will be "nominal." That car started at $19,125, including an $835 destination charge. 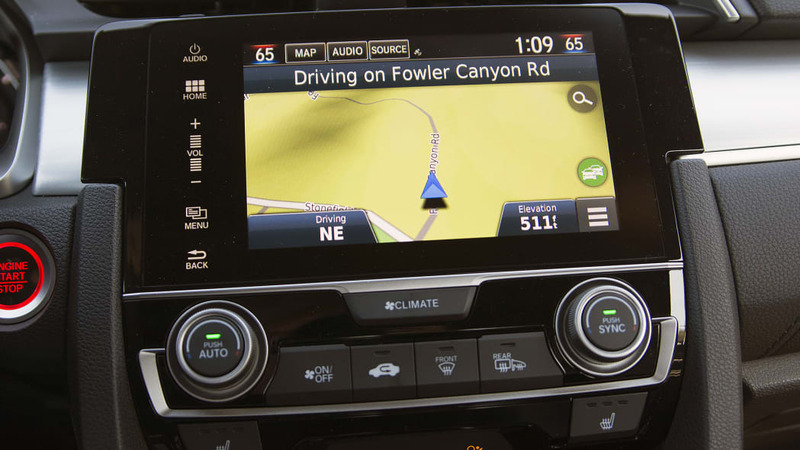 Frankly, we'd be surprised if the base model we tested here cracked the $19,500 barrier, but stay tuned for an official announcement. 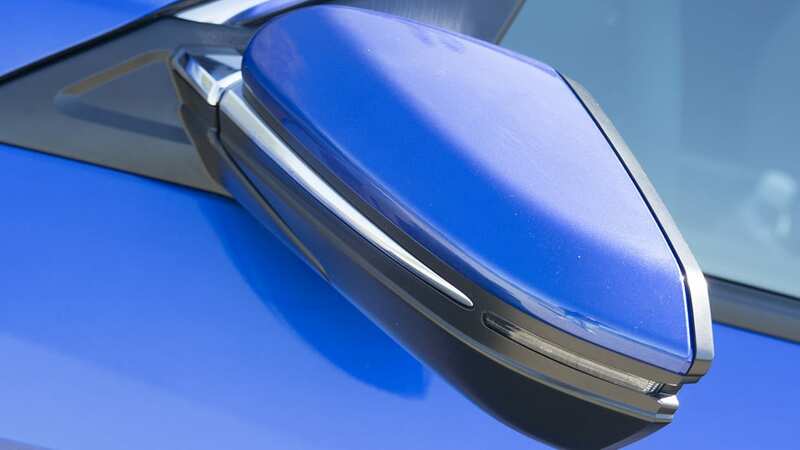 We get it, though – compact coupes are a really tough sell these days. 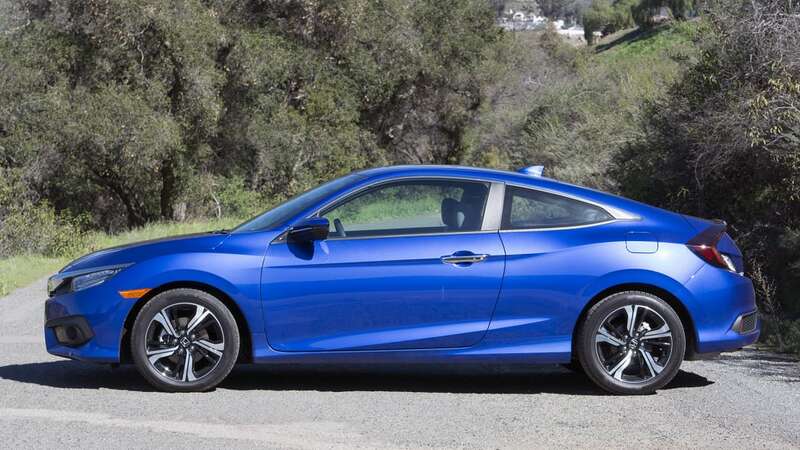 But the best thing about the Civic Coupe is that the practical sacrifices are relatively small, and what you get in return is an outstanding driving character and one of the most attractive small-car shapes on the road today. That's certainly worth something – if you're willing to be flexible, consider letting emotion trump logic this time around.